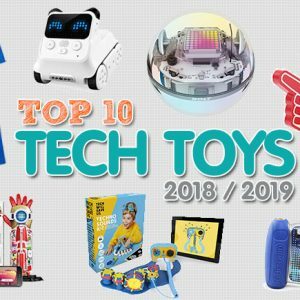 Best Tech Gifts 2019 are here! 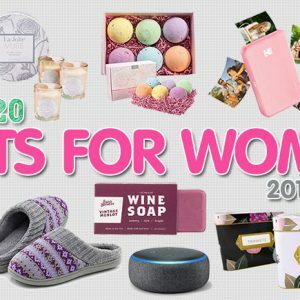 Check out top Christmas gift ideas & Get the best tech gifts 2019-2020 for women, men, kids, teens, family, friends and more. 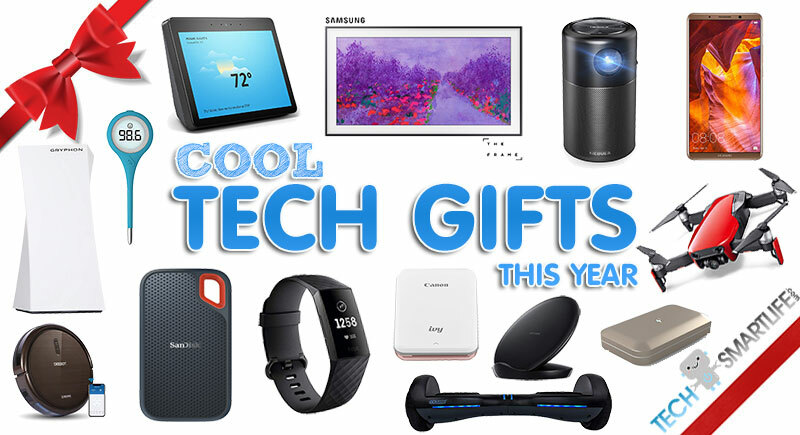 Shopping for tech gadgets can be a bit intimidating especially if you’re not a techie. There are constant upgrades and new inventions at every turn. 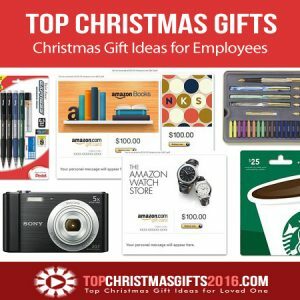 Add to that the avalanche of specs that you need to check out and you’ll almost want to offer gift cards and forget about it. 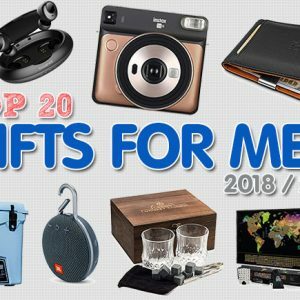 But before you do that, we are here to help you impress your family and buds this Christmas with your gift selection prowess. 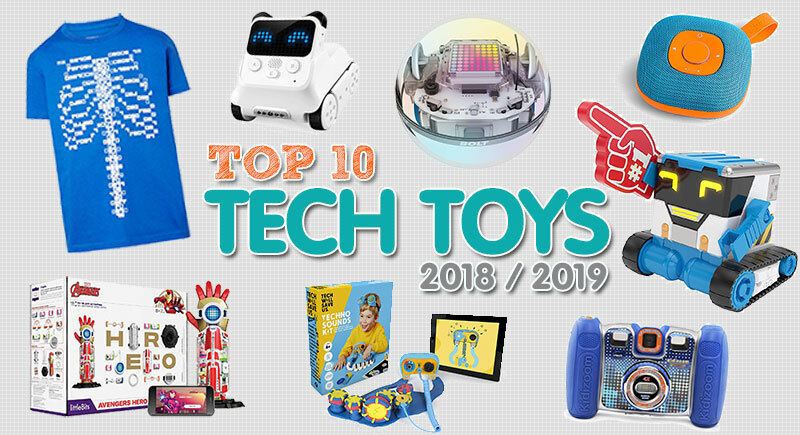 Well, here is a list of the best tech gifts for 2019. Are you ready to check it out? 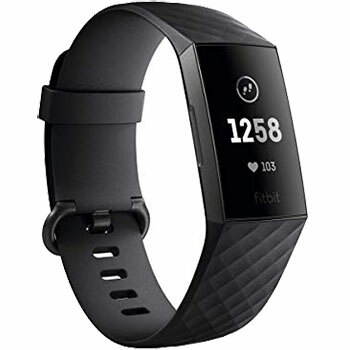 With this Fitbit activity tracker, you can optimize your workouts while keeping up with the latest health trends. It’s packed with features that allow you to track your heart rate, exercise routines, calories, and sleep. And if you are feeling a bit overwhelmed, it has guided breathing sessions to help you relax. That’s not all; it’s waterproof so you can enjoy your swim sessions and showers without taking it off. In addition to its stylish design, it’s durable, lightweight and stays securely on your wrist. And the best part: you can keep track of all your important notifications with call, text, and app alerts. The holidays are the time to capture those precious family moments. And with all those photos and videos, you’ll need a powerful storage device. 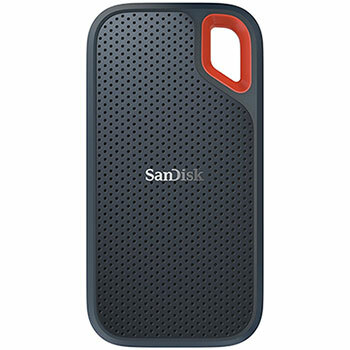 Why not get this Sandisk Extreme Portable SSD to store high-quality pictures and videos. It provides storage of up to 1 TB and will make a great gift for anyone way beyond the holidays. It promises high performance with transfer speeds of 500mbps using a 3.1 USB type-C cable. And with a sturdy and robust build, it can withstand falls of up to 2m. Plus, it’s resistant to water and dust. That’s not all; its small size ensures it fits snuggly into your pocket so you can take it with you wherever you want. And you know what? SSDs usually make the best gifts for techies because they always love all the storage space they can get. 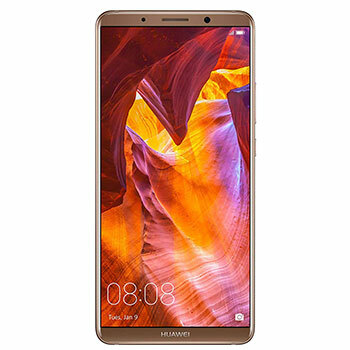 It’s no secret that Huawei is quickly becoming a trendsetter in the world of innovative smartphones. The Mate 10 Pro phone does not disappoint. It delivers amazing high-resolution photos with its dual leica smart camera. Plus, it features a crystal clear 6-inch HD display and great sound. With 6GB RAM you can rest assured that all your apps will run smoothly. And it has storage of up to 128GB. It’s also waterproof, dust resistant and has a tough glass casing that gives it a classy look. Even better, it promises a full day smooth operation (even for the heaviest users) with its 4000 mAh smart battery. What’s a smart battery? It’s one that learns and adjusts to your usage so as to maximize the battery life. And that’s not all, a 20-minute charge will last you all day. As all smartphone users know, it doesn’t get any better than that. With a much more improved 10” HD display, the new Echo show is sleeker than its predecessor. It also features high-quality speakers so you can enjoy your videos and music in excellent sound. This makes a great gift for those who are into smart-home technology. With this Alexa-enabled device, you can watch TV, Youtube videos, Hulu, and even access recipes to up your cooking skills. You can also make video calls, check out the weather forecast, set timers, and create to-do lists. Plus, it integrates well with smart-home devices so you can control the lights, air conditioners and much more with your voice. It also works with video doorbells so you can check who’s at your door. And Alexa is always improving in skills so as to enhance your experience. With the ever-present risk of online threats, you can never be too careful when it comes to your home network. 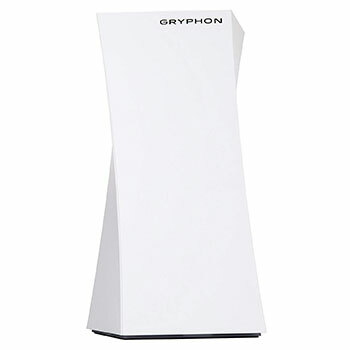 This router offers all day online protection and will keep your devices safe using its Intelligence Intrusion Detection technology. It helps protect children online with parental controls that can be managed through a smartphone app. 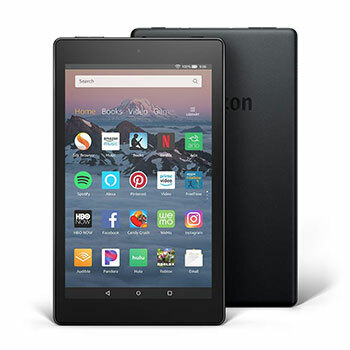 Apart from safety, it provides high-speed access to the internet so you can stream your videos and music, play games, and generally browse the web without any hitches. Moreover, it’s easy to set up and simple to manage using your phone. Wouldn’t you love the option of printing out all your favorite photos as soon as you snap them? 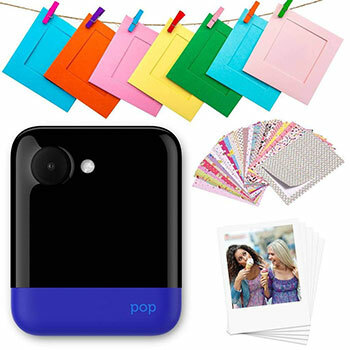 Well, with this instant camera you can print your pictures without a computer, printer, or ink. Better still, you can get creative and customize your photos with its amazing filters, emojis, and stickers before you print them out. And its built-in Wi-Fi allows you to share your pictures on social media. That’s not all; you can also use it to record high-quality videos and fun GIFs. Plus, it provides storage of up to 128GB using Micro SD. Picture this: a visitor walks into your home. They are instantly awed by the framed art display on your living room wall. 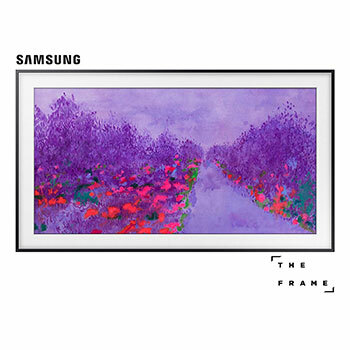 Before they can take it all in, the framed art transforms into a TV as you begin to watch your favorite shows. Is it magic? No. It’s the new Samsung 4K UHD Frame smart TV. This amazing TV makes a great addition to your home especially if you are a lover of art. Simply put, it features an art mode that displays beautiful art in stunning quality when it’s off. It comes with a selection of excellent art and you can buy or subscribe to a library of your favorite artwork. Plus, you can add your own photos from your smartphone or USB flash drive. As you can see, this TV brings class and elegance to any room. And the best part, it has a motion sensor that detects when you are in the room and turns on the screen to display your favorite art. 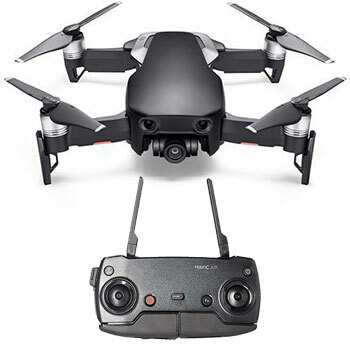 The adventurous will love this portable and foldable drone. It has a 3-axis gimbal camera that takes steady shots and delivers stunning pictures and videos. Plus, it creates high-quality 32MP sphere panoramas by stitching together 25 photos in 8 seconds. Additionally is supports slow motion videos and is therefore excellent for recording high-speed moments. Plus, it has an internal memory of 8GB and you can easily transfer the files using a 3.0 USB Type-C connector. It not only has a foldable remote controller but makes use of smart-capture technology that allows you to control it using hand gestures. And for protection, it has a robust chassis, a recessed primary camera, and magnesium alloy bracket reinforcement. 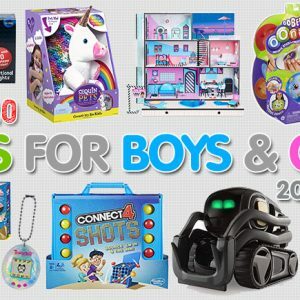 Looking to buy a great gift for the gamers in your family? Then, this Oculus retail bundle might just be the one. 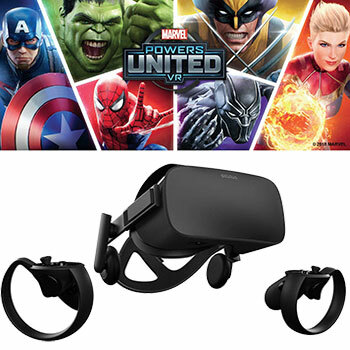 It includes a Rift headset, touch controllers, 2 sensors, and Marvel Powers United VR. This simply means that you get the fantastic hardware plus 6 free video games. Now, that’s a good deal. The headset is well designed, fits snuggly, and is light to allow for long hours of play. Gamers can truly immerse themselves into the game as they interact on a new level with the virtual world. 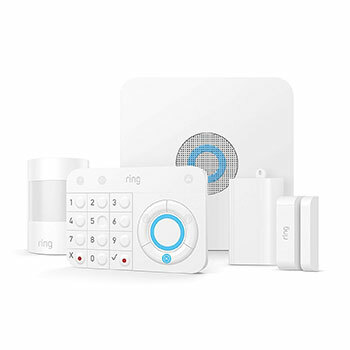 This easy to set up security system provides a simple but smart way to secure your property. 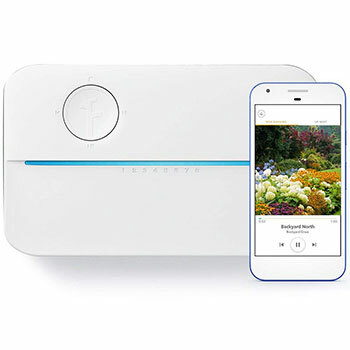 It comes with: a base station to keep your system online so you can receive real-time alerts on your phone; Keypad to turn the system on or off from the house; a contact sensor to update you when windows and doors are opened; motion sensor to detect any motion; and a range extender to amplify the signal from the base station. With this system, you can opt to get professional monitoring and cellular backup with no need for long-term contracts. Wouldn’t it be great to have a beautiful green lawn whether you are home or not? Well, this smart sprinkler offers you the opportunity to keep that lawn looking great at all times. With the Rachio app, you can create watering schedules that take into account plant type, location, and sunlight to ensure your lawn gets exactly the amount of water it needs. What’s more? Rachio uses weather intelligence technology to forecast the weather in your location and adjust your watering schedule. This works out to significantly save on water consumption. Imagine if you could select from different shades of light to set the atmosphere in your home to match your mood, music, movies or even a romantic dinner night. The Philips Hue will help you set your preferred scene using light so you can really enjoy every moment. With up to 16 million colors, you can use the power of light to relax, get sleep, stay energized or simply mimic your favorite season of the year. 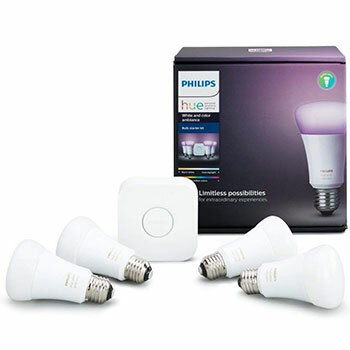 The Philips Hue syncs with iOS and Android apps to give you remote control of your lights so you can switch them on or off when you are not home. What if you could turn your living room (or any space) into a small theatre? 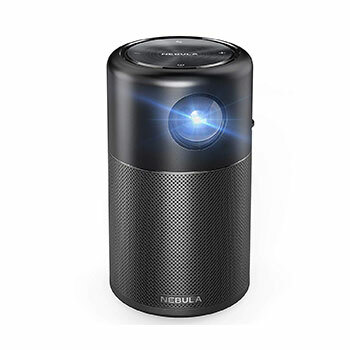 Well, that’s exactly what the Nebula capsule projector does. It will give you crystal clear image quality plus amazing 360-degree sound. That’s not all when fully charged, it will play video for up to 4 hours. It uses Quick Charge Technology and you can also charge it while in use. With their ever increasing popularity, Hoverboards have become a favorite gift choice for many. 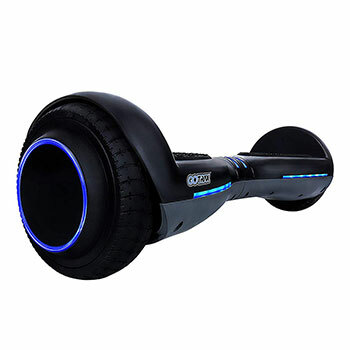 This GOTRAX hoverboard has been designed with the latest technology for safety and performance. It’s self-balancing to allow the rider to maneuver easily. Speeding up or slowing down is as simple as leaning forward or backward. Plus, it has a training mode for new users. 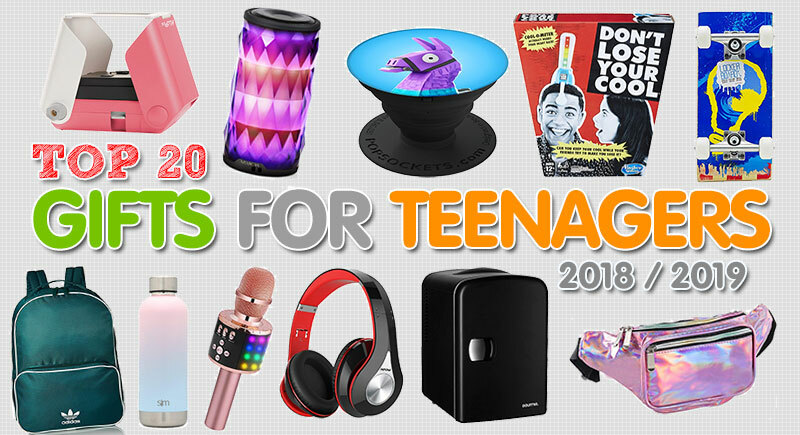 Additionally, it has a sleek design with LED lighting and a variety of fun colors to choose from. It will go up to 12 miles on a full charge and takes about an hour and a half for the battery to charge fully. Fitness isn’t just about going to the gym. It’s about your nutrition too. 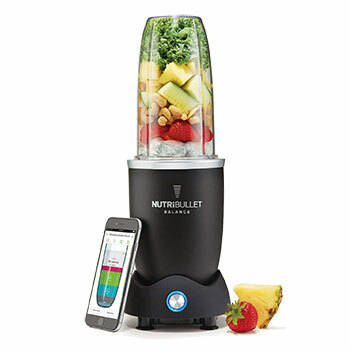 The Nutribullet smart blender helps achieve your wellness goals by tracking the nutritional value of every ingredient you include in your smoothie. It does this using a nutrition sensor that connects to an app on your phone via Bluetooth. Better still, you can create your own virtual nutritionist that will select recipes that are customized to your diet needs and fitness goals. Plus, it will notify you on the order in which you should add ingredients so you can have healthy smoothies every time. Moreover, it has a sturdy but sleek design that will fit right in with your kitchen décor. Have you been looking for a smart and easy way to clean your home? How about a robot vacuum cleaner that you can control from your phone? Well, look no further. 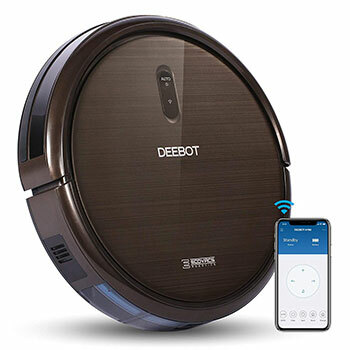 This Deebot Robot Vacuum cleaner is the answer to all our collective prayers for an easier and more convenient way to keep our homes clean. Though it’s a bit noisy, it does a good job of navigating and keeping the floors clean with little supervision from you. Plus, it has a sensor that keeps it from toppling over. Additionally, it syncs with Alexa and Google Home so you can use voice commands to control cleaning as well as schedule cleaning sessions. 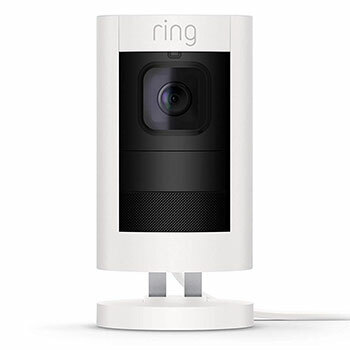 Ring stick up camera can be placed inside or outside the house. You can clearly see and communicate with people near the camera from wherever you are. It has night vision, two-way talk, and a siren. And you get instant notifications for any motion that is sensed. Moreover, it has a compact design and will easily fit into any space. Plus, it’s built to withstand harsh weather conditions. That’s not all; you can connect with other users in your neighborhood and keep each other updated on any security issues. 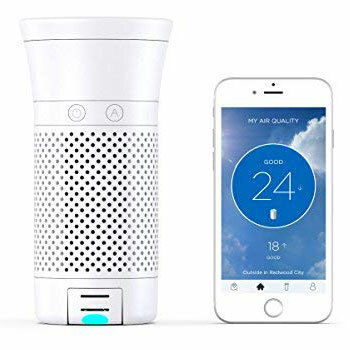 Keep allergens, dust, and smoke away using this smart air purifier that lets you know the quality of the air you are breathing. It cleans the air fast to give 9 liters of pure air each second. Plus, it gets rid of mold and bacteria on contact. Additionally, you can download the Wynd app to control the purifier remotely and get information on the air quality of a specific location. The purifier comes with an Air Quality tracker that will alert you when the quality of air changes. It’s portable so you can have fresh air wherever you take it. This 360 degrees video camera completely redefines video conferencing. It will help you experience every remote meeting as if you were right there in the room. It focuses on the person who is speaking no matter where they are seated. It delivers high-quality audio and video to enhance your experience and make your meetings count. Moreover, it’s easy to set up. You simply plug it in and load your video conferencing software. What if you could print all your favorite photos straight from your phone or directly from Instagram? That would be pretty cool. 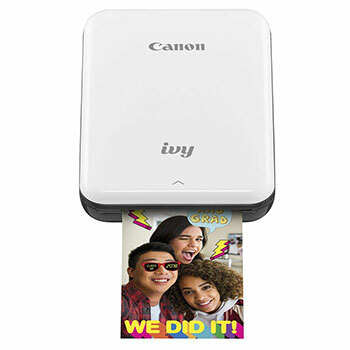 Well, this portable photo printer lets you print amazing photos that you can stick on any surface from your fridge door to your closet. The photos are high-quality, tear-proof, and waterproof. All you need to do is download the free app to your phone so you can sync it with the camera. Then, connect via Bluetooth or social media. You can edit your photos to make sure they look perfect just before you print them. 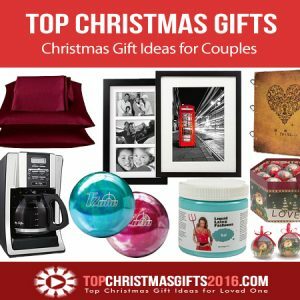 Tired of never keeping up with your lists? Why not carry them with you using this smart notebook that fits right in your pocket? What makes the Rocketbook even better? You can reuse it as many times as you want. All you need to do is blot out the pilot ink and you have a brand new page. Remember to always scan your notes to the app before erasing. In addition, you can upload the notes to your favorite cloud storage service. 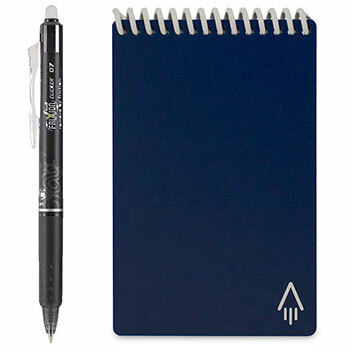 Moreover, the Rocketbook is not only environmentally friendly but requires no batteries or charging. You can get this smart scale for your fitness-obsessed family or friends. 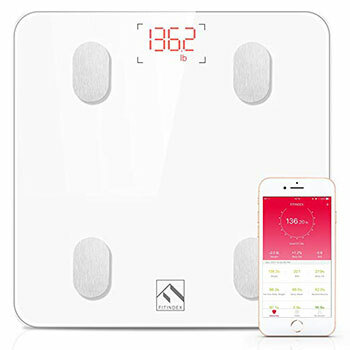 It measures 11 different body metrics and uploads them to an app using Bluetooth. The app syncs with fitness apps to help you create a more comprehensive fitness and health system. Additionally, it can be used by many users and thus is effective for keeping the entire family healthy. We’re all always looking for ways to manage better during those terrible periods when we feel sick. 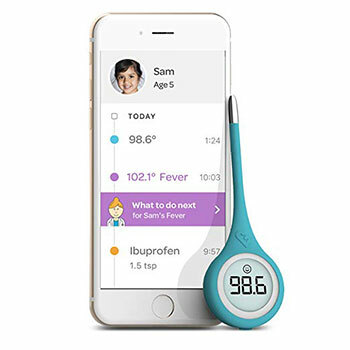 Well, the Kinsa thermometer is designed to give you health information from reputable sources when you take the temperature of any of your loved ones who are unwell. How? Its innovative technology allows it to sync to an app in your phone via Bluetooth. As soon as you take the temperature the data is used to find information that may be useful to you. The thermometer, which is FDA approved, which works in as little as 8 seconds can be used for children and adults alike. You can forget the keys and password with this smart fingerprint lock that assures you of safety. It automatically recognizes your fingerprint to give you hassle-free entry into your home. You can also use it for your bags, cabinets, lockers, suitcases and more. 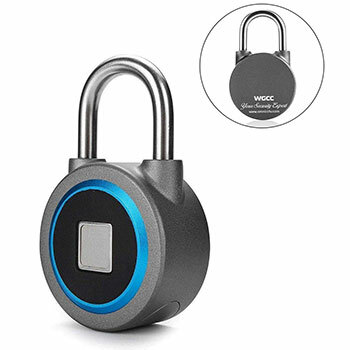 Additionally, it’s made with high-grade aluminum alloy and is reinforced with stainless steel to protect your property. It works with an app that you download on your Android or iOS device. From there you can manage the fingerprints and delete those that are not needed. We all know how important it is to maintain the right temperature to get that juicy well-done barbecue. But if you don’t want to stand around monitoring the temperature, let this grill thermometer come to your rescue. It uses Bluetooth to notify you of any changes in the set temperature. 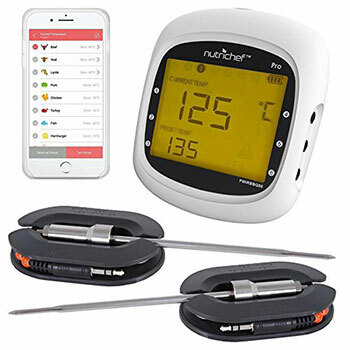 All you need to do is put the thermometer at the center of the meat and you’ll receive real-time notifications on your Android phone or iPhone. The thermometer has a cable that’s used to keep its Bluetooth hardware safe from the heat. With this thermometer, you can relax and simply wait for your delicious barbecue. 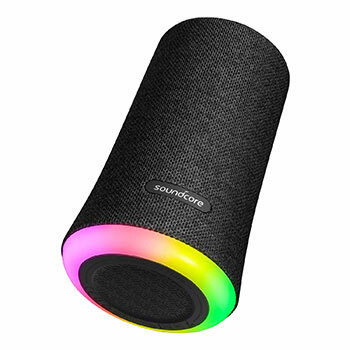 Sound core brings an intense high-quality 360-degree sound with this portable Bluetooth speaker. Plus, it has a light halo that illuminates with the beat to enhance your music experience. 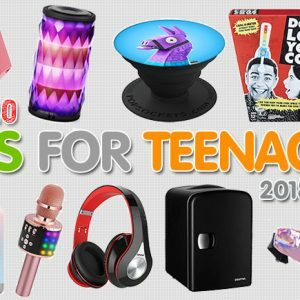 This speaker will be the center of any party as it can play up to 250 songs to keep the party lit. It’s also waterproof so if you’re having a pool party you can relax. You can use it at home for movies and for epic gaming sessions. 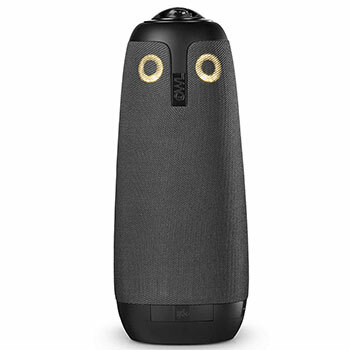 With its back-to-back drivers, the sound quality will not disappoint. An upright posture portrays confidence. But many of us tend to slouch unconsciously. So what if you could maintain the right posture wherever you are? Well, this posture trainer is a wearable device that helps you stay upright by vibrating each time you begin to slouch. It will then use this information to generate a training program using an app. The training app will not only help you to stay upright but also strengthen your core and back. It features 8 inch HD screen and crisp clear sound so you can stream and enjoy music and videos through Wi-Fi. And with 1.5GB RAM it will give a fast seamless performance. 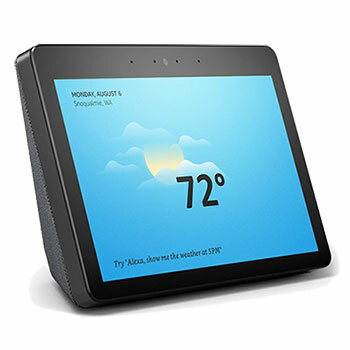 It works with Alexa to provide communication, entertainment, manage apps and smart-home devices. Additionally, it has parental controls to help you manage your children’s use. Since we take our phones everywhere they accumulate lots of dirt and germs that cannot be cleaned away with wet wipes. Lots of people have no idea how much their phones are dirty. Well, you need not worry about it with the Phonesoap sanitizer. You can get this for your phone and as a gift for your loved ones to ensure you all stay healthy with clean phones. 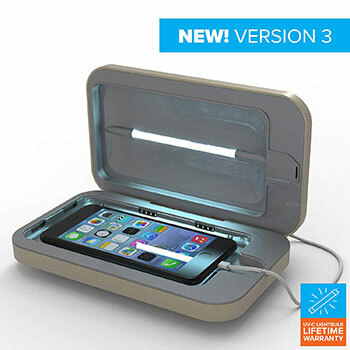 This sanitizer uses tested and proven bacteria-zapping technology to kill up to 99% of bacteria on your phone. You put your phone on the case and it gets sanitized as it charges. Tired of replacing your cord charger or USB cable? 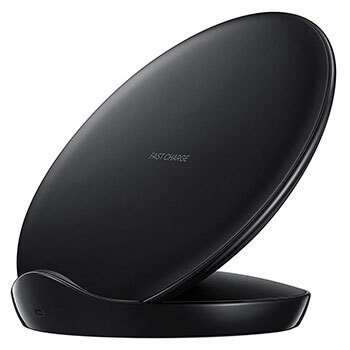 Then, this wireless charger may just help you out. It works with Galaxy devices and any other Qi-compatible devices. With this, you don’t have to plug and unplug your phone to charge it. And it allows you to use your phone as it charges. Additionally, it provides a fast charge and ensures your phone and the charger stay cool using the built-in cooling system. How awesome is it that you read this far? Pretty awesome! 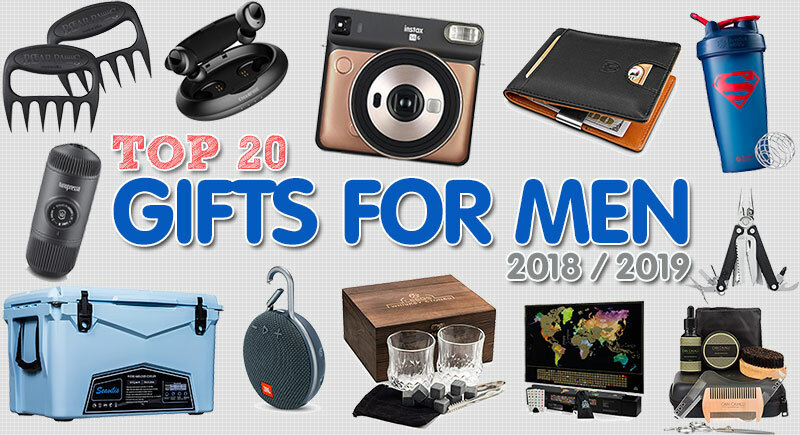 And we bet there are gadgets in the list above that have caught your eye. 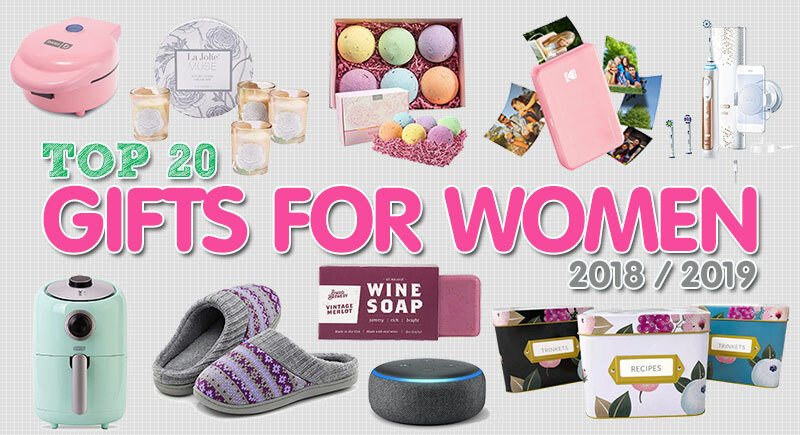 No surprise there, as these are among the best electronic gifts for 2019. All you need to do is pick your favorites and get them. Now, the holidays won’t catch you unawares. Simply make a selection from the above and you won’t regret it.